George is a research scientist/consultant with twenty-eight years of combined experience in academic and biotech research, medical and science writing, medical education and patent law. He is an effective communicator with strong analytical, interpersonal and writing skills. 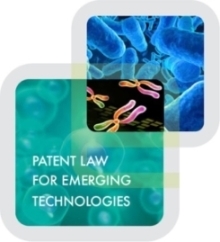 His in-depth technical knowledge in molecular/cellular biology, biochemistry, tissue engineering and chemistry is an asset in his work at Elmore Patent Law Group. While at Elmore Patent Law Group, George has expanded his areas of knowledge to include patent law. He applies his diverse scientific background to performing data analysis and preparing patent applications, appeal briefs and responses to Office Actions and related documents. 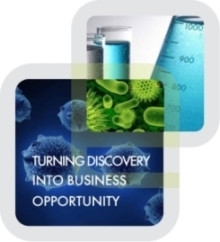 George has extensive experience in the scientific and medical communities including working as Lead US Team member for Bioscript US®, as Project Associate and Science Advisor for Office of New Ventures of Partners Healthcare and as Principal Grant Writer Specialist for Massachusetts General Hospital. His career in Boston bio-tech includes Medical Education Specialist at Antigenics, Inc., Senior Manager of Medical Writing at Millennium Pharmaceuticals, Inc. and Principal Scientist, Cell Biology, Head, Osteoarthritis Biology Group and Senior Scientist, Drug Discovery at Genzyme Corporation. Prior to that, he was at Osteoarthritis Sciences, Inc. where he was Group Leader, Cell and Molecular Biology; Project Leader, Senior Scientist, Molecular Biology. Early in his career, he was a Research Fellow at both Dana-Farber Cancer Institute and Harvard Medical School. J. Infec. Dis. (2003). 188:378-387. J. Orthop. Res. (2000). 18:882-890. J. Biol. Chem. (1988). 263:2324-2329.